Some people may think that I am just in front of my computer all day every day sipping coffee and serenely working on project after project. That is not what a day in my work life is like. Not even close. 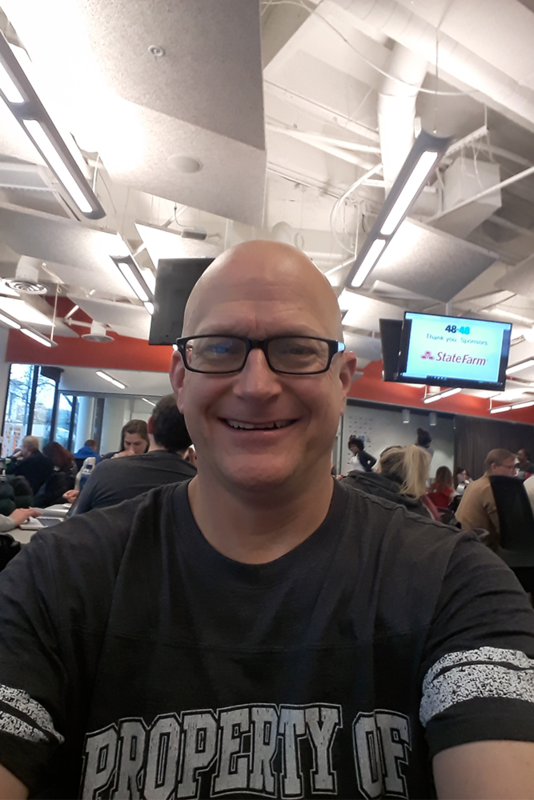 The main networking event that I attend as often as I can is a networking event called Startup Chowdown at the Atlanta Tech Village. Almost every Friday, the Atlanta Tech Village opens its doors to the public for the Chowdown and I usually attend Pitch Practice at 1 pm directly after lunch. It’s a lot of fun, you get to practice your pitch, it’s only $10 and you never know who you are going to meet. 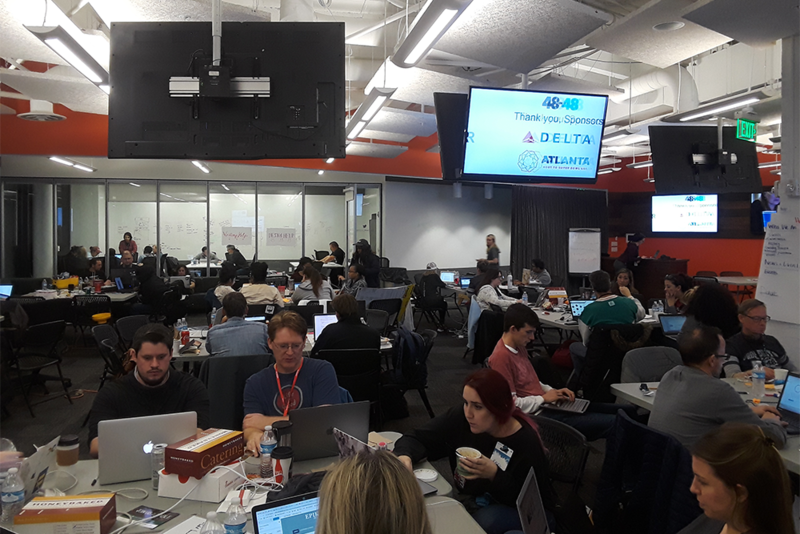 About a month ago, I visited Atlanta Tech Village and had the pleasure of sitting at the same table with Gina Gentilozzi, the Operations Manager for 48in48.org. The goal of the event was to build 48 websites for non-profits in 48 hours. It seemed like a great event and and a worthy cause. In working with a few non-profits, I know they are cash-strapped and usually can’t find the support for their projects at a price they can afford (usually nothing, because non-profits are prohibited from making a profit). I also didn’t realize that when they said 48 websites in 48 hours, they meant all weekend. My bad! It was a great event and I got to work with people from agencies all over Atlanta. My project managers were Kevin Hawke and Alex Smith. I got to work with Stephen DeLorme, an awesome and talented WordPress web developer. Michelle George designed logos for three award-winning websites, Amanda Hammons played a key role in the content and design of our team’s three websites, Angela Wood and Gary Estwick wrote great copy and content for our websites. Although I have been building websites for my clients for a couple of years now, this was my first experience working on a team with other designers, developers, content writers and project managers. I have always wondered what working with productivity tools such as Trello and Slack. When you aren’t working on a team, it’s a lot like having the only fax machine in town. However, if you are on a team, these tools are vital. I have always wondered how I would function on an agile team. 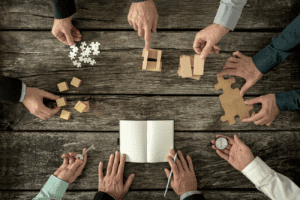 Although this team may not have been a true agile team by definition, I discovered that I can function well on a team and that I am truly a team player. The 48in48 event started out as a one-time event six years ago and has blossomed into an international event. The people behind the event are Adam Walker, Bret Phillips, and everyone else at Sideways8, one of the top agencies in Atlanta. Other top agencies who participated are Helium, LLC, NEBO, and Hothouse. There may have been more agencies than that who participated, but these are the agencies I remember. There are tons more people that help put this event together and I couldn’t even begin to name everyone in this post. If you are a developer, designer, content writer or other creative, visit 48in48.org and register for the event near you. 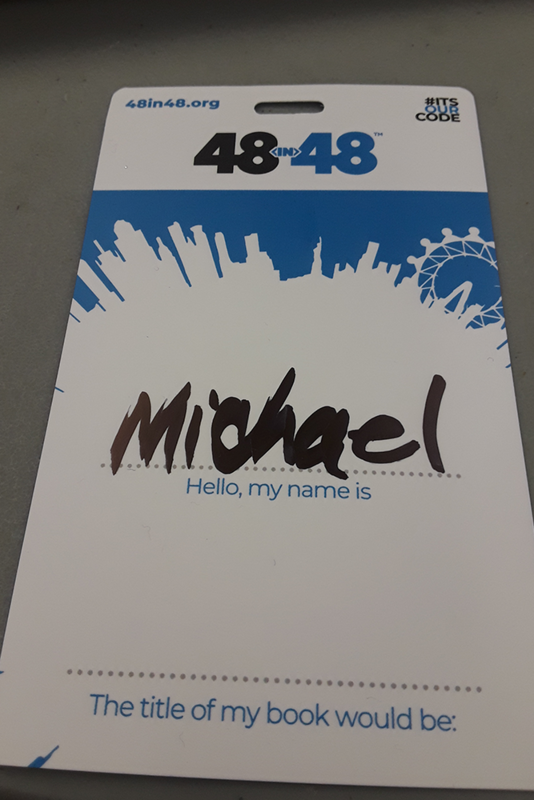 If you are a non-profit who would like to apply for services or you wouldlike to nominate a non-profit for the 48in48 event, visit 48in48.org. I had a great time at the event and a great time was had by all the volunteers. It was a huge opportunity for personal and professional growth for me personally. I look forward to participating in the next 48in48 event here in Atlanta in October. I’m taking more pictures of our team working together next year! See you there!